The first written mention of the Viking invasion describes the attack on the English island of Lindisfarne in 793 AD. Their initial expeditions usually took place within the North Sea and the Scottish islands, such as the Hebrides, Orkney and Shetland. Around 800 AD, the Vikings occupied the Faroe Island and in 874, they reached Iceland. In the following century they discovered Greenland and then, around 1000 AD, they arrived at America, specifically to the Labrador Peninsula and to Newfoundland. 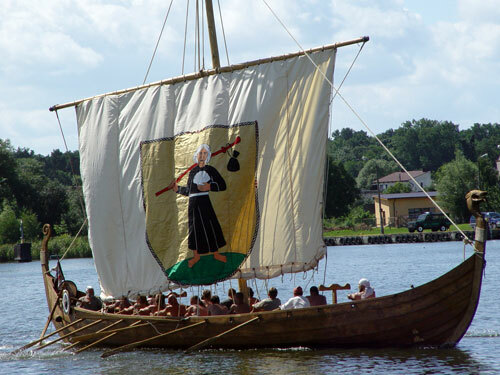 However, as a result of numerous battles with the natives, as well as many internal disputes, the Vikings soon retreated from the settlements of the New World. As the time went by, the groups of Vikings transformed into the impressive flotillas and, thefore, significantly increased their range. They organized expeditions thanks to which they were able to, sailing around the Iberian Peninsula, get to the Mediterranean Sea and plunder Italia and the southern coast of Gaul. They also set out on expeditions to the eastern territories, penetrating the routes and areas along such rivers as Volkhov, Dvina and Dnepr, thus reaching the coastal towns of the Byzantine Empire on the Black Sea, which was a source of valuable loot. Sailing on the Volga, they went as far as to the Caspian Sea. However, the plundering seizures were not their only source of income, as they were also engaged in trade. It developed particularly well with the Arabs, for whom the Vikings were the suppliers of furs, jewellery made of precious metals and slaves of the Baltic origin. In return, they received silver from the Arab lands of Afghanistan and Tashkent. When the plundering phase came to an end, the Normans began to establish settlements on the lands which they had conquered. The islands such as Shetland, Orkney Islands, Iceland, as well as Ireland and Britain, were the most popular locations. Another attractive area was the Cotentin Peninsula in the north of France, where the Duchy of Normandy was established. The Vikings who settled there were assimilating more and more- they used the French language and converted to Christianity. After over 300 years of the Viking state's existence in Normandy, it became a feudal duchy of the French king. In the eleventh century, the Vikings conquered nearly 80% of the English land and established their kingdom there, with King Canute the Great at the helm. However, the Angles and Saxons' rebellions soon drove them out of these areas. Later, the Normans of Normandy, also descending from the Vikings, conquered the Anglo-Saxon kingdom again. In 1066, another king of the Viking origin seized the throne, namely William the Conqueror. He was the founder of the Norman dynasty that ruled England for over 300 years. 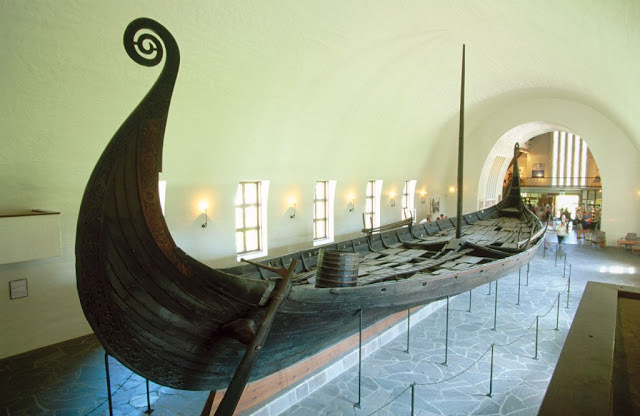 Remarkably mobile longships, as well as the method of fighting in a close formation are the undeniable factors which contributed to the successes achieved by the Vikings. Their basic armament consisted of a one-handed Viking sword, a spear, an axe and a wooden rounded shield with a metal fitting on the edges. The detailed regulations on the weaponry, necessary for mass mobilization, were determined at the end of the Vikings era, in a form of the district laws. In Sweden, it was mandatory to have a sword, a helmet, a spear, a shield, chain mail, a bow and 24 arrows on the rowing bench. In the area of Norway, there was an obligation to have as many as 36 arrows on the rowing bench, but a sword could be replaced with an axe. In Denmark, it was possible to have a crossbow instead of a bow, but in case of the lack of the necessary skills, it was demanded to find someone who could use it. The Vikings used amazingly effective kinds of weapons. Their axe became a kind of a symbol of this tribe, known in the early ages as the dangerous invaders from the North. However, the Viking sword was also very common. It was one-handed and it measured about 80-100 cm. The sword was remarkably light, as it weighted only 900-1000 gr. It has a two-edged, symmetrical blade, which was straight at the whole length or tapering into a short, often oval-shaped foible on up to 15%. The fuller was placed on almost the half of the blade's width and went through 80% of its length. The center of gravity was placed in the area of approx. 6-22 cm from the short, but solid, straight or slightly bent downwards guard, which measured usually 120-160% of the blade's width. The hilt was short (85-95 mm), but it tightly wedged a hand. Characteristic ornaments were applied to it, often in the form of engravings or inlays. The massive pommel with a flat base could be combined or consisting of one part only and it usually closed in the D shape. The metallographic research of steel artifacts is not easy, especially when we are dealing with highly contaminated findings. For this reason, it is hard to determine unequivocally how the Viking sword was produced and what it exactly consisted of. In a blade part, inter alia nickel was identified, what may suggest that iron obtained from a meteorite was used to produce them. The blades from the previous centuries (7th-8th) are of better quality, as they are more resistant to deformation and cracking, thanks to the forged material. Forging at least two kinds of steel (or iron with steel) could result in a characteristic pattern, noticeable at the blade's surface, which survived to the present times. That is why there are many descriptions and images of swords enriched with a characteristic zigzag or a “snake” on the blade. There is a high probability that the Vikings adapted this technique from the Middle East, as they certainly reached those territories and traded with their inhabitants, what can be proven by the discovered Viking artifacts. It is sometimes assumed that this was the source from which the Vikings imported hilts or steel in their early period. However, most weapons were manufactured in the native land. Such a view is suggested by the geography of the findings, as well as the results of the archeological research. Most commonly, the Viking swords, including the ones with the famous ULFBERHT inscription, are found on the Scandinavian Peninsula, particularly in Norway. Actually, the ULFBERHT swords can be found at the whole European territory. It should be noticed, however, that the blades of these swords lack the pattern characteristic for forging different kinds of steel or iron. As it is shown in the archeological research, in Westphalia and Rhineland (present Germany) there were production centers manufacturing a large portion of swords used in the medieval Europe. There are numerous theories saying that the Vikings were also getting high-quality hilts from there and later used them to produce their own swords. In the whole cold steel history, the Viking guards and pommels are considered to be one of the most elaborately decorated elements of weapons ever. 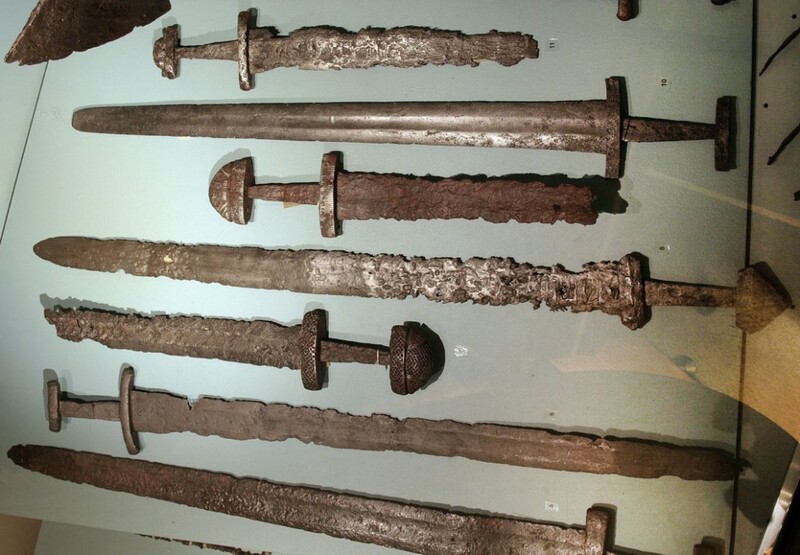 It should not be assumed though that all the Viking swords were ornamented so vividly. Quite the opposite, some exemplars are really simple, purely practical and do not carry any decorations. If they were present, they were mostly made of copper, silver, gold or steel. The Viking artists and craftsmen reached a truly master level in the ornament techniques. They combined nearly jewelry craftsmanship with a characteristic style, what resulted in many stunning weapons, inextricably associated with the Vikings today. As the ornaments were made of such solid materials as silver or gold, they often survived to the present times, while the rest of a sword is usually highly damaged by corrosion. As the Vikings were warriors, they appreciated the practical use of a weapon mostly. For this reason, they covered them in sheaths that were very solid, functional and simple in their form. The core of a profiled sheath was usually made of wood and framed with canvas or leather, or a combination of both these materials. The conclusions from the little research of the discovered sources and findings say that the methods of strapping the sword and the sheath's construction were various and often depended on a given period or region. The Vikings and their weapons are often presented in films, publications or historical reenactment, so this subject is still very popular. Even though thousands years have passed already, we still imagine them as might warriors from the North, highly experienced in battle, who travelled and conquered even the furthest territories, discovering new lands, what modified the European borders of the time. The Viking swords and axes were really influential on the course of history, as because of them being used, the Medieval world was constantly changing geographically. In spite of the fact the Vikings were considered to be pagans, barbarians and invaders, they often assimilated with the conquered tribes and adapted their customs and religion, becoming an integral part of the Medieval Europe. The beauty and uniqueness of their culture, as well as the high-standard war craftsmanship are joined in a special artifact – the Viking sword. 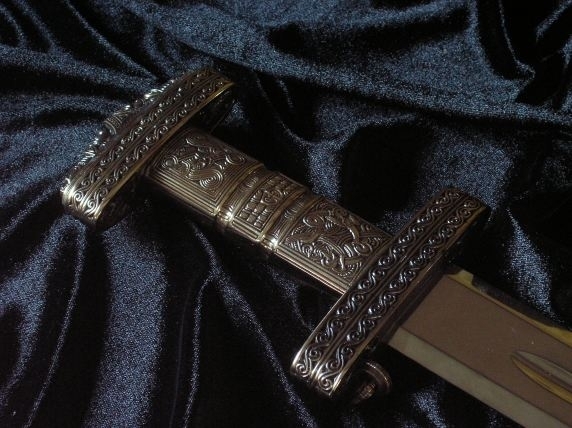 You can find its copies in our shop, which offers only the most precisely made exemplars of a sword replica. They are made with great attention to any detail, so as to pay the proper homage to the masters who created their original versions. A well-prepared replica of a sword makes it possible to admire the mastership of the primary artists and craftsmen. It can constitute an outstanding decoration of an interior, which will make it more prestigious and elegant. Our sword replica will also certainly be appreciated by collectors or history and military lovers, to name but a few.